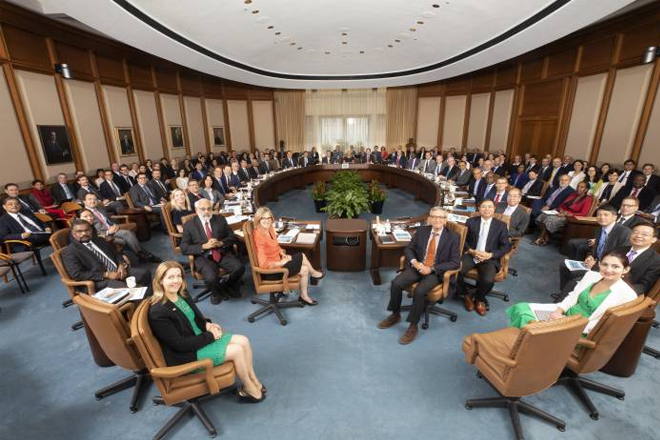 On November 16, 2018, the executive board of the International Monetary Fund (IMF) concluded the 2018 Article IV consultation with Suriname. Suriname’s economy has stabilized and is expected to further improve. Real GDP grew by 1.7 percent in 2017 after two consecutive years of contraction, supported by higher gold production and a pickup in commodity prices. The unemployment rate has also declined. Inflation has subsided to single digits as the exchange rate has stabilized, and the current account deficit fell to almost zero in 2017 from its 2015 peak.